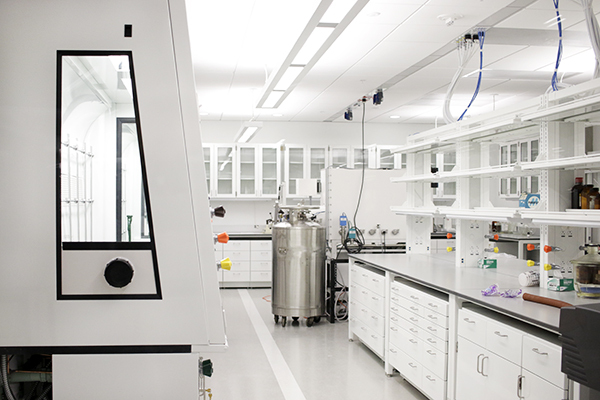 Some labs in the Science and Engineering Hall need to be renovated to accommodate researchers in the biomedical engineering department, which formed after plans for the labs were finalized. More than two months after the Science and Engineering Hall opened, some researchers still don’t have facilities to call their own. At least three labs are being renovated to fit the specific needs of biomedical engineering faculty, causing delays in the researchers’ move into the complex. To modify labs, researchers will need furniture replacements, floor changes, new sinks and gas pipe installations. Senior Vice Provost for Academic Affairs and Planning Forrest Maltzman said the University was renovating some labs based on feedback from researchers. Renovation costs are still being determined, as members of the School of Engineering and Applied Science try to estimate how expensive the new equipment and construction will be. Maltzman declined to provide a cost estimate. Because officials knew there would be changes after the Science and Engineering Hall was completed, the building was designed in a way that could accommodate renovations, said Jason Zara, an associate professor of biomedical engineering. Zara said because his department didn’t exist when original plans for the Science and Engineering Hall were made, his lab was designed for a different researcher. The biomedical engineering department officially launched in the fall. He said he had already packed up his lab in Staughton Hall and begun to move into his new space before he realized that renovations were necessary. Zara said he understood the reason behind the delay, especially since the biomedical engineering department wasn’t accounted for in the original building plans. He added that because faculty and departmental changes happened while the Science and Engineering Hall was under construction, GW had to finish the building first and then renovate the spaces. “You would never get the building done if you changed the plans every time something changed,” said Zara. To create the wet lab necessary for Zara’s research, workers will have to remove carpeting and desks before redoing the flooring and put in new benches before he will be able to move in. All of those changes are required for his research, which deals with various chemicals and needs direct ventilation and specialized piped utilities like water and gases. The Science and Engineering Hall houses 118 faculty from engineering and science departments. Not all researchers were allotted space in the building, leading to faculty concerns about communication among department members. Igor Efimov, the chair of the biomedical engineering department, said the renovations are a normal part of moving into a lab. Efimov, who was hired from Washington University in St. Louis and will move to GW over the summer, said his lab will need to have dark rooms and spaces that can contain the chemicals, drugs and biological material he and others will handle. He also needs to replace some furniture with work benches, allowing for a more efficient work space. He added that he has had the same issue every time he has moved into a new lab at a university because the space needs to be adjusted to his development of medical devices and cardiovascular research. Ramin Sedehi, the director of Berkeley Research Group’s Higher Education Consulting practice, said buildings designed like the Science and Engineering Hall, which have features that make labs more versatile and flexible to change, are increasingly common at American universities. “Not only can this sort of design significantly reduce renovation costs in the future, but it also can save time,” Sedehi said. This article appeared in the March 19, 2015 issue of the Hatchet.